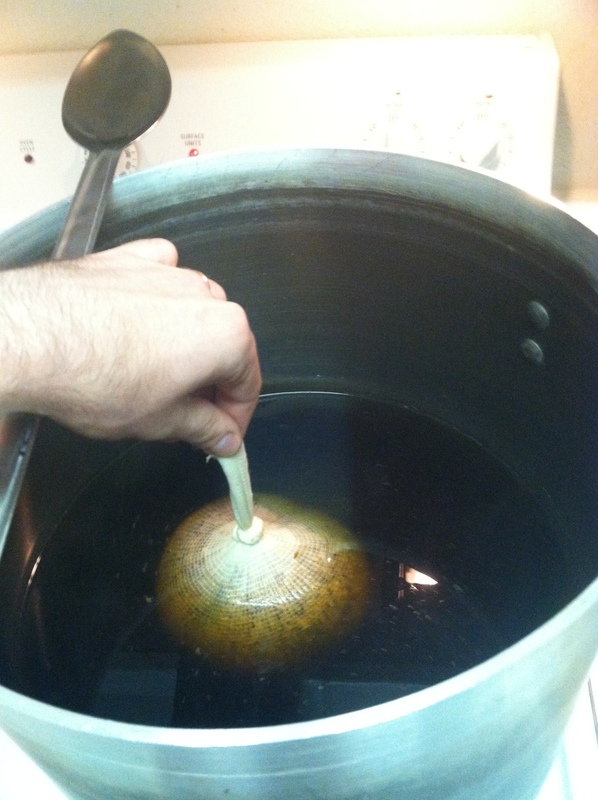 Over the past few weeks, I’ve been tweaking my brewing process. As such, I recently updated my brewing equipment. No longer am I a carboy shaker and ice bath maker as I’ve acquired an oxygen system and wort chiller. To test out the new goods, I decided to make an extract beer to cut out the 2+ hour mash and sparge steps and focus on the new processes. Having rinsed the White Labs San Francisco lager yeast from the SMaSH Blonde, I figured a California Common would work well. Straight forward in recipe, essentially an Anchor Steam clone: extra pale malt extract plus some American Crystal 60L malt steeped in RO water with Northern Brewer Hops to 40 IBU. Post-boil, the wort chiller worked better than expected. Chilling the beer down from ~210F to 95 F took a mere 15 minutes, then onto 70 F in 45 minutes with ice bath aid. OK, so I still make them; I just needed the rhyming to work in that particular sentence. Additionally, the tap water in Texas in the summertime is ~80 F. So perhaps post summertime Austin when the tap water is not ridiculously warm I’ll be able to eliminate ice bath technology. We will see. After chilling, the oxygen system worked as expected. I’ll be playing with flow rates and dose times in the future to “dial-in” my wort oxygen concentrations. Also, I am looking forward to using it in bigger beers, 1.075+, which require greater O2 concentrations throughout the fermentation process. Cheers to that! In other happenings, this past Saturday was the Austin Zealots Summer Picnic. It is said that if you can only go to one meeting a year, this is the one to go to, and I fully agree. Great food and dozens of kegs, you can get into trouble pretty quickly. For the picnic, I brought my recently brewed SMaSH Blonde and my well-lagered Oktoberfest from the fairly recent Fall 2014 German Lager brews. Both were well received and as such blew out both kegs. The Oktoberfest in particular was especially liked by many highly regarded brew members and some international visitors from England. It was good to get lots of positive feedback especially from visitors across the pond. I’ll have to re-brew soon, perhaps to enjoy during the early spring. How was your week in brewing? Leave your thoughts in the comment section below. Cheers, and happy brewing! Do you notice your yeast flocculating more strongly with the pure O2? Pure O2 was one of the two things I changed in the same batch, and I noticed better flocc’ing. I am trying to figure out which did it (or if both helped). Good question. At this point, I’m still fairly new to pure O2, but with two batches in, I have notice more yeast surface activity prior to krausen. I’ll keep an eye out for flocculation differences. You would expect some change in yeast behavior due to more robust cell walls as a result better sterol production from the increased O2. Perhaps a side by side is needed in the future. Cheers! A side by side is definitely needed. But I am quite sure that both of the changes are good for the beer, so I have been reticent to stop doing one or the other for a batch. 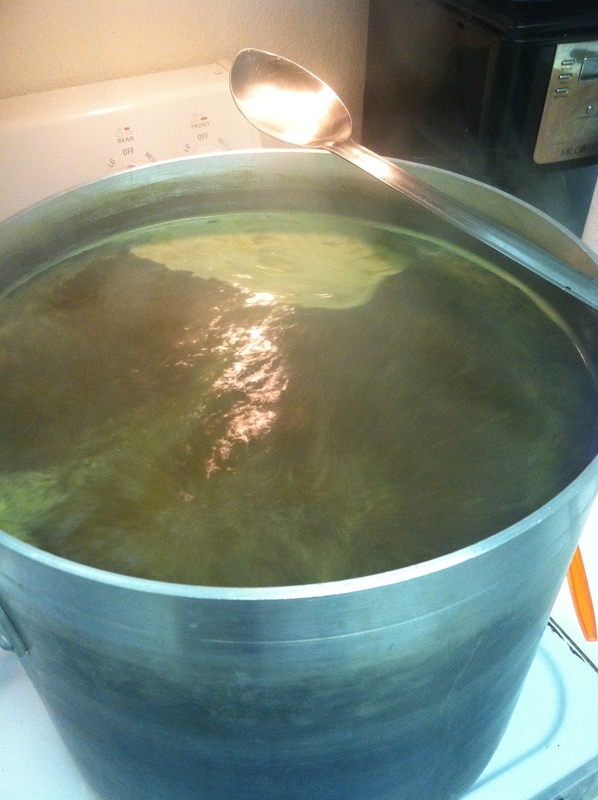 The other change was moving my sparge water calcium additions directly to the kettle.